Kids are really strange, right? From the way they put on their clothes to the way that they eat, there is questionable judgement. If I'm being honest, I think someone should really be watching or supervising them. That's a bold statement, but I stand by it. Aside from their obvious unique way of doing things, they also have unique taste buds or so it seems. Although in some instances they just seem to want to put every thing in the mouth. Like everything, always in the mouth. Icky. Not only will these children grab a 15 day old gold fish cracker from under their car seats and pop it into their mouths without a second thought, they also choose to mix foods that don't even belong together. Now sure everything goes to the same place, but that food going into the mouth should be a pleasant experience. There has got to be order. Thank goodness they seem to get more sense as they get older (who would have thought?). In this list there will be things kids eat that churn the stomach and fill the mind with wonder. There are things that will make a mom wonder where she could have gone wrong. There will be combos that make a mother elbow the dad and give him the "this is your influence" eyes. Don't worry. This is kind of normal for them to experiment with foods and non foods. It's not much wonder that kids gravitate towards putting this in their mouth. All the tools really are designed to make it seem like food. There is that dentist kit where you can form teeth from the Play-doh, but even that leads you to the mouth. All signs point to the mouth. There are a lot of ways to get around letting this happen. You could watch very closely or wait until they understand that it's not to eat. Even then thought, I'm betting that curiosity gets them to try at least one small nibble. Always get nontoxic Play-doh. No, you really don't have to run off and check. That was a joke. All Hasbro Play-doh is nontoxic. It is mainly made of salt, water, and flour. They expect that children are going to taste test it and they have ensured that it's safe. What a relief. We don't want it to turn to a Play-Duh. These are a scary thing if eaten by a baby or child. They have acid in them like any battery. That acid can burn through the child's esophagus and cause great harm and pain. Please, please keep these out of reach of babies and toddlers. There are many devices that contain these small batteries so let's review them just in order to have an idea of what to check on. They are found in watches and hearing aids. Camera batteries can also be quite small and may need to be secured in order to keep from being swallowed. If you are wondering the time it can take for the battery to burn through, according to Dr. Karthik Balakrishnan, a pediatric ear, nose, and throat specialist it can take as little as two hours for it to happen. This sadly has been a common item for children to swallow. This seems like it wouldn't be that big of a deal. They eat cotton candy, so you can also kind of understand the thought process of the cotton swab going in their mouth to eat. In some instances it can be dangerous though. There is an actual museum which is made up of artifacts that were retrieved from children. They children had attempted to eat things and they had to be taken back out by doctors. They are now cataloged and displayed in a museum. One such object there is a cotton swab that was taken from a child's windpipe in 1944. Can you imagine being that boy or his parents? Wouldn't you love to take them to that museum? "Hey, remember that time i caught you eating that cotton swab?" "Oh you don't? Let's go check out the museum that they had to build to keep all the things kids swallow." Yep, this is definitely one of the ones the kids get caught eating a lot of the time. Now, granted the flavors are extremely enticing, so it's understandable at the beginning why it would be tempting to try. Once they get that first taste and it doesn't quite pan out it seems like they would like it go. We all know that is not going to stop them though. Or we know that if we have ever bought a new chapstick every 2 weeks for all of December. Never let them borrow it and walk away from you. That is a recipe for disaster. No good comes of it. More tubes of chapstick have been lost that way. And not even the tubes of it, just the actual chapstick ends up gone. Where does it go? They can't tell me. They retrace steps. They let you check teeth. Granted when you check faces they have gone about 3 inches outside the line of their lips, but still that shouldn't eat up the whole tube. The dish is exactly at the right height. The dog seems to really enjoy what they have set up there, so it must be good. Don't people drink water too, and he has that sitting over there. Those are the thoughts I imagine go through a kids mind before diving head first into the dog bowl and getting a bite. Usually the initial mouthful is met with a questioning face and then a spit take which the dog will gobble up without missing a beat. No kibble left behind. 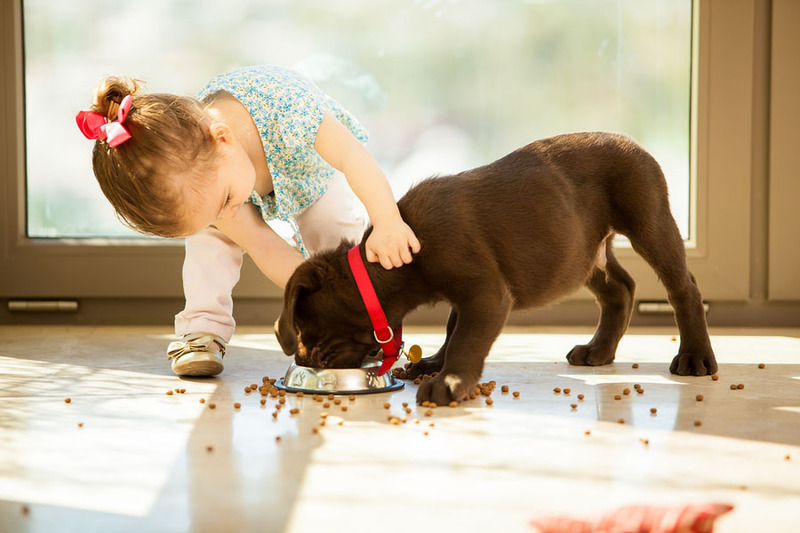 If you have pets around your family it's almost a right of passage to eat or have eaten dog food. There is no shame in it. I can't say that I remember tasting puppy chow, but I have seen some kids faces after tasting some. They were enough to keep me from trying it, no matter how good it smelled coming out of the bag. Can-i-ne get a heck yeah? Well, that took a turn. In the source listed below there was a 13 month old trying to nibble the remains of a mouse. I'm sure that he didn't get very much of it, but can you imagine how much Purel that mother had to go through to feel safe again. I guess sometimes there are dead animals that end up in their mouths. Ick. If you are thinking, there is no way this could happen to us. Let me give some examples of how there could be mice laying around. This could be as a result of a cat bringing a present after catching a mouse. This could be due to being out in the country and finding something. This could be in the apartment in the city. This could be at a pet store. There are many ways this could happen. I'm sure that after it happens once though, that a parent will not readily allow it to happen again. What a buzz kill. This is a big fear for many. Spiders. Spiders in a baby's mouth are a nightmare. Their sweet little face and then seeing little legs hanging out. I just grossed myself out over here. I might even be relieved that the toddler took care of the spider in this situation because it seems every time I attempt to grab them with a tissue they skitter away or pounce at me. Does that happen to you? Any way I think if a toddler is able to get the spider and place the spider in it's mouth that they have some superior reflexes. That kid is going to need to be promoted to body guard of the family. Maybe with a small conference on proper disposal of spiders, so they don't eat them any more. Also spider webs can fall into this category. Kids have scrapped out some corner webs thinking they were cotton candy and flipped them into their mouths without a second though. If only they were so fearless when it came to trying new meal plans. You could say they know not what they eight. This apparently made America's Funniest Videos in the year 2005. A little boy swallowed the light and you could see it light up through his stomach. Ummm, so that's hilarious, or extremely scary depending on your parent skill level. The 6 year old boy wanted to see if the light would shine through his mouth if he had it in there, and then of course he swallowed it. At least he was able to answer his question and then some through the experiment. This was prior to youtube and Facebook, in case you were wondering why they didn't just make the video go viral. Please don't try this. I'm not sure that they even won any money. I still say that having someone get hit in the crotch is still the ticket to that show. You might as well go with the tried and true method with less lasting effects. I'm sure after this the boy and his parents saw the light so to speak. That one will surely throw you for a loop if you turn around to see your son or daughter with a feather sticking out of their mouth. I'm imagining them looking quite a bit like a Sylvester the cat when he finally gets Tweety bird in there. A 7 month old little girl was hospitalized after attempting to eat a feather. It apparently got stuck and started to cause her to have swelling in her cheeks and face. As if that wasn't bad enough, the feather may have been trying to poke it's way out of the skin. This is seems extreme for a feather, but those associated with the case guessed that her body rejected having the feather in her throat and tried to expel it the only way it knew how. Do not worry, she was ok after the ordeal. In fact you could say no harm, no fowl. This item was swallowed by a 7 year old boy in the Bronx. Apparently he could not get enough of his rubber ducky. This culminated in him inhaling or otherwise ingesting the squeaker from the ducky. When the squeaker would sound off, his teachers would think that he was making the noise on purpose and acting out. They thought the squeaks were an interruption to the class that was being orchestrated on purpose. Making me question several things about the schools, the parents, and the child. This went on about 2 weeks before someone caught on that it could be a problem beyond his control. At that time someone did take him seriously and the doctor found the squeaker was lodged in the little boy's lung. They were able to remove it and all was fine. His teacher's hopefully stopped quacking down on him so hard after that incident. This is more serious. 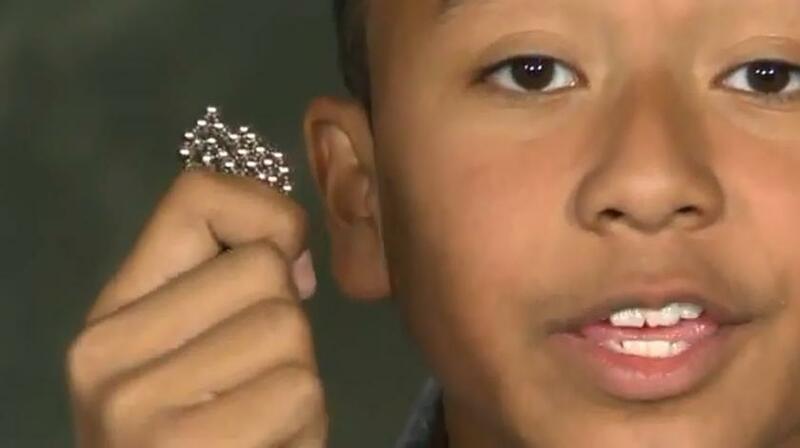 An 8-year old in Indiana ate 30 magnet steel balls. Apparently this was from a Magnetix toy set. These balls left 8 holes in her intestines. Doctors said that the holes are similar to those left by gun shot or knife wounds. 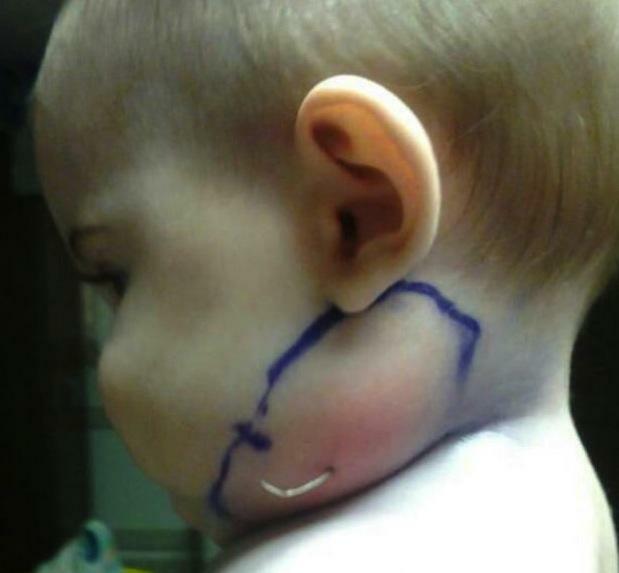 A 2-year old in Houston, Tx also swallowed some magnets and nearly lost her life. This is something to keep an extra eye on even if you think that the kids are old enough not to put the items in their mouth. Curiosity can sometimes overcome even the most trusted children. Also it's not always that they set out to swallow what is in their mouth. Occasionally it's just to see what it feels like in their mouth, to pretend it's food, or to hide the item to play with it later. The rest just happens, there is an attraction some would say. We are moving on to some funky combinations that are beloved by children or at least some children. 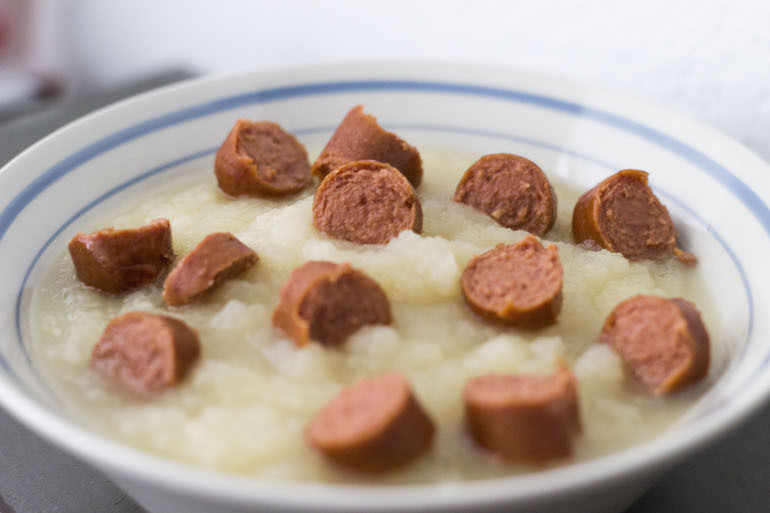 You are reading that title right, hot dogs in apple sauce. Has anyone out there had this or their child does this? I have seen my children do this, but less in a planned way. We had hotdogs and we had apple sauce. They thought "hey, I think this could cause at least one person at the table to be squeamish if I mix and try to eat." This idea of pairing pork and apple sauce dates back to the days of Rome. Might be a little generous here by calling the hot dogs pork. Ancient Romans believed the acidity of the apples paired nicely with the pork to digest the fattiness of it all. This makes sense. Seems that some children are born with quite the remarkable palette. Mostly though this combination is going to occur when you turn your head for a second and they start mixing all their food together. This one I am very familiar with as my own children prefer this "spaghetti" to any of the meat sauces I have come up with. Yes, I know what that may lead you to believe about my cooking and you are not wrong. These sauces added to noodles can add quite a bit of flavor and excitement to cheap and easy meals for the kids. Also who doesn't wish you could eat a whole cup of plain ketchup? This really is only a quarter step away from that happening. As much as this may not seem appetizing to us adults, this definitely makes sense as a flavor combination. Think of the noodles as a blank piece of paper in need of tomato plants drawn all over them. Feeling like you might be a little more sophisticated than ketchup? Well, do not over look the A1 sauce as a substitute. Your culinary skills know no bounds, well except the end of the condiments aisle. Pretty sure that this is a rite of passage for children to go through. Childhood can be divided into two parts: BCIS (Before Chips In Sandwich) and ACIS (Post Chips In Sandwich). ACIS is when they finally understand that anything is possible. There was a light bulb that went off in their sweet little head that said I can condense these two things into one package and enjoy them together. Thus a peanut butter and jelly sandwich with a layer of potato chips in the middle is made. There are many different combinations to be had. I've observe Cheetos in a cheese sandwich. Also seen Doritos sneaked into a peanut butter sandwich. That one definitely didn't seem like it would be a success, but the child finished bravely. There are so many ways in which this can work, and yet the ickier combinations are required testing for the little ones. 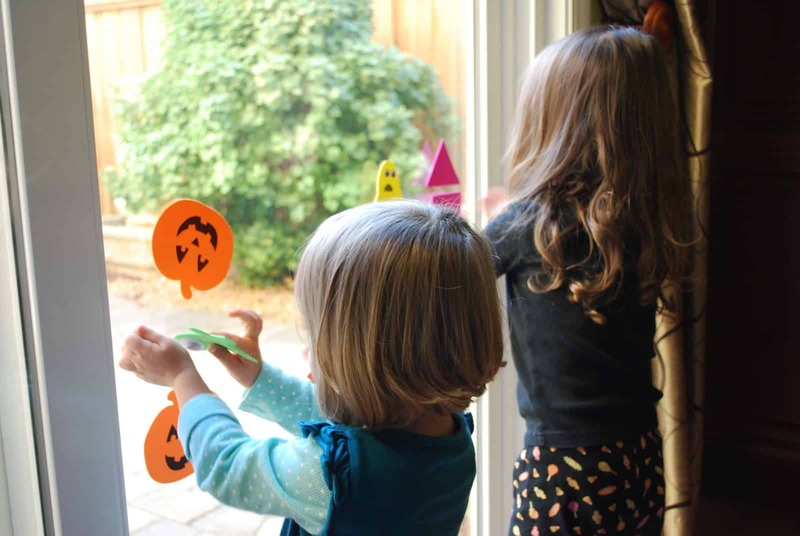 There are many toddlers that can not resist placing those Gel Stickers in their mouth. They do kinda look just like Jell-o Jigglers. There are many times I have to remind myself that they are not food, they are just decorations. That is why a two year old ended up in a predicament when helping decorate for Halloween with her mom. The toddler apparently was able to eat 9 two inch letters. Quite impressive. Upon finding this out the mother called poison control and was told to keep a watchful eye on the youngster. In the end, the toddler had some bright colored poop to show for the excursion, but was unharmed. She didn't suffer any other sickness. What a fun story for her to hear when she grows up. Orange you glad she was perfectly ok?